A row of pulse-fired, low NOx burners with preheated air, like what will be supplied on the shuttle kiln for this project. Riedhammer GmbH recently secured two orders from a leading manufacturer of green energy products: A rotary calciner to produce the raw materials and a high temperature batch kiln to sinter those materials into ceramic electrolytes. Both will be operational in the second quarter of 2011. 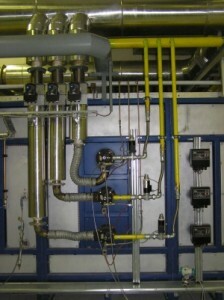 Both of the kilns will be installed at an existing facility that is being repurposed to produce green energy products. The batch kiln has an internal volume of 12 cubic meters (425 cu. ft.) and fires to 1600°C (2900°F) using natural gas as a fuel. It includes the latest technologies for reduced emissions, energy recovery, and high volume production, while maximizing temperature uniformity and minimizing potential contaminants. The rotary calciner can process more than 500 kg/hr (1,100 lb/hr) of the raw material. The tube is lined with special, high-purity materials to minimize silica, alkali and transition metal poisoning of the material. The calciner is direct-fired using natural gas. Riedhammer’s experience, responsiveness and ability to meet the customer’s budget goals without sacrificing quality were the reasons cited by the customer for selecting Riedhammer as the supplier for this equipment. The total value of these two projects is more than US$ 5.3 million. Riedhammer, based in Nuremberg, Germany has supplied hundreds of kilns for the manufacture of a diverse array of electronic ceramic components including advanced batteries, fuel cells, passive components and sensors. In addition to batch kilns, Riedhammer supplies tunnel, roller, pusher-slab and rotary kilns that may be fuel-fired or electrically heated in sizes from bench-top through to the largest custom-engineered kilns ever delivered. Riedhammer is a part of The Sacmi Group (www.sacmi.com), manufacturing machines and complete plants for the Ceramics, Beverage & Packaging, Processing and Plastics industries. PilkoTech represents Riedhammer products to the technical ceramics market. If you are producing electrolytes for fuel cells, advanced batteries or other precision electronic applications, call 877-350-7382 or contact us today! As an alum of the Inamori School of Engineering, we already knew this, but it’s good to see it codified again. Tip o’ the hat to Ceramic Industry. The Sacmi group, parent to PilkoTech partners Reidhammer, Laeis, and SAMA will be displaying their new EKO series roller hearth kiln at Tecnargilla, taking place in Rimini Italy from September 27 through October 1, 2010.
the opportunity to have a kiln that can alter its length according to production volumes. EKO consists of a series of thermal modules called “cells” in which the fumes exchange thermal energy with the material in an optimized manner compared to traditional kilns. EKO also reduces the volume of toxic fumes that need to be filtered and, for the first time, it is possible to differentiate fumes, manage small amounts and subject them to “targeted” purification treatment of contaminants, with obvious benefits in terms of a simplified process and respect for the environment. The use of cells enables the firing curve profile to be better controlled while allowing stable pressures and temperatures to be maintained even when the volume of product in transit varies. If production is reduced cells that are not required can be deactivated: This is like having having a variable-length kiln. EKO is equipped with REKO self-recuperative burners which extract the hot fumes from the kiln chamber and use them to preheat the combustion air up to 700°C or 1300°F for immediate energy savings. These may be fitted onto shuttle kilns in addition to the EKO roller hearth kiln. The EKO Series compliments the H.E.R.O. — High Efficiency Resource Optimizer — kilns that SACMI introduced at the last Tecnargilla, two years ago. SACMI will have three sample modules on display in their booth at this year’s Tecnargilla. If you would like more information on energy-efficient kilns from SACMI, or are looking for complimentary admission to Tecnargilla, please contact us by email or phone. Durex Industries, a leading North American designer and manufacturer of heaters, temperature sensors, controls and systems, recently announced its QIXSHIP Program for electric immersion and circulation heaters. Standard catalog tubular heater elements, immersion heater and circulation heater assemblies can be shipped same day, or within a 2 to 5 day window, depending on design, optional configurations, and quantity ordered. QIXSHIP is a new program that shows our commitment to making standard and custom configured heater products available for quick delivery. We provide standard catalog items as well as custom volt, watt and immersion length configurations without significantly impacting lead times… which is a huge benefit for our customers striving to keep inventories low and flexibility high. Durex Industries has responded to the realities of the New Economy after the Great Recession. Companies demand high levels of customer support, fast response to their needs, and quick deliveries…all at a competitive price. Durex will continue to expand this program through all of its business lines to further position it as a preferred source for electric heaters, temperature sensors, control and systems. Durex Industries is a vertically integrated, lean enterprise advancing the state of the art in industrial electric heating, temperature sensing and control. Headquartered in a 100,000 sq. ft. manufacturing facility in Cary, Illinois, Durex Industries serves the semiconductor, analytical, medical, food equipment, plastics, packaging, process industries and general industrial markets. Pilko Tech represents Durex Industries in Eastern Pennsylvania, Delaware and Maryland. Contact Us today or call 877-350-7382 to get a quote on any Durex Industries product. Hot off the (digital) presses: An article I co-published with Hartmut Weber of Riedhammer in the April 2010 Ceramic Industry magazine. In it, we talk about the newly developed Low Oxygen binder burnout system available from Riedhammer. 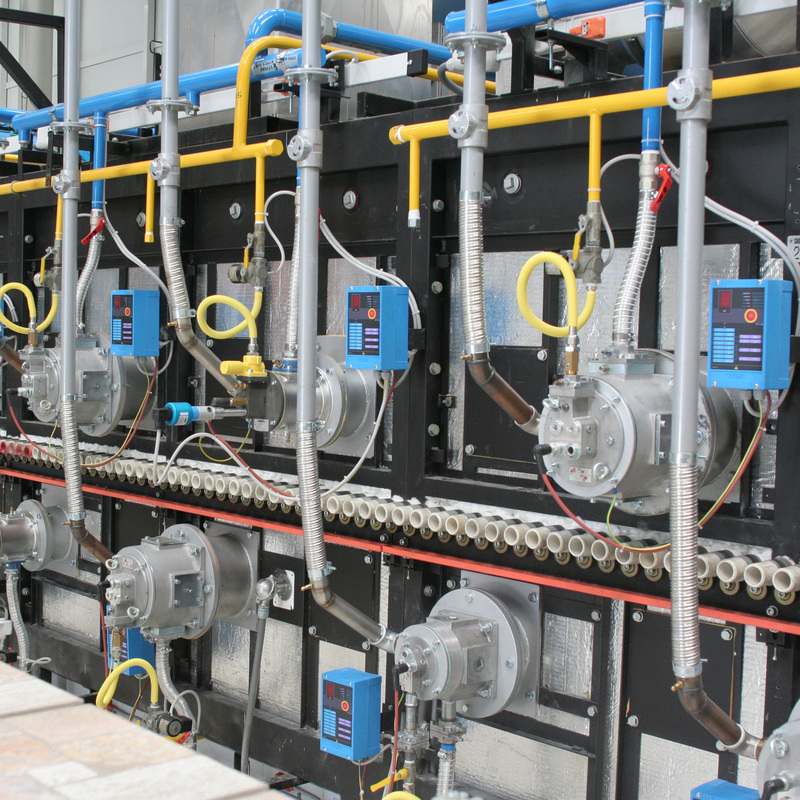 With the proper controls, this binder burnout system can remove binders from a ceramic part with less energy, fewer defects, and more safely than it can be done using classical technologies. The photo on the cover is a Riedhammer kiln too. 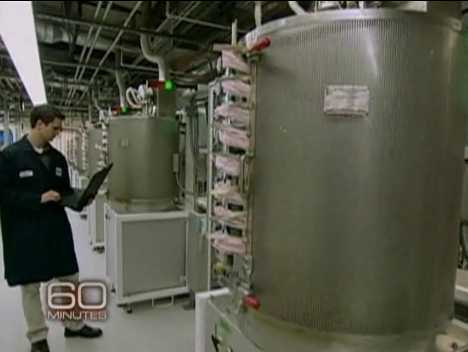 This weekend’s 60 Minutes had a long piece about Bloom Energy, the Sunnyvale CA manufacturer of fuel cell systems that plans to change the world. About 3/4 of the way through the video shows the shot above, of a line of DS Fibertech furnaces used for one of the manufacturing steps on this process. From all of us at Pilko Tech! We wish you and your family a healthy and joy-filled holiday season and a wonderful New Year! Thank you for your business in this difficult year and letting us be a part of your success. We look forward to working with you in the coming year!